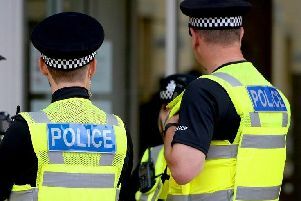 Two people were arrested on suspicion of theft after police stopped a van on the outskirts of York yesterday. It followed a call from a member of the public who had seen two men changing the number plates on a van on the A64 near Tadcaster at around 12.30pm. A North Yorkshire Polices spokeswoman today said: "Officers located and stopped the vehicle on the A1237 near Copmanthorpe. "On searching the vehicle, false number plates were found along with a generator, believed to be stolen." Two men from Doncaster, aged 54 and 59, were arrested on suspicion of going equipped for theft and theft. The spokeswoman added: "North Yorkshire Police continue to urge people to be vigilant, and report any suspicious activity to the police. "Even if it doesn’t need an immediate response, every piece of information helps officers build up a picture and could prove vital in bringing criminals to justice."